We want to help you shape up your email designs! Shapes can be helpful in grabbing attention within your email or newsletter campaign. You can also use shapes as buttons. To help you get started quickly, we’ve included several helpful buttons and shapes as vector graphics. Mail Designer 2 is always here to make it easier for you to edit your newsletters and emails. We included several buttons and shapes as vector graphics. You can group and regroup your content to make it easier for you do some adjustments in your email and newsletter campaigns. Once you are finished with your adjustments, remember to regroup all the objects. 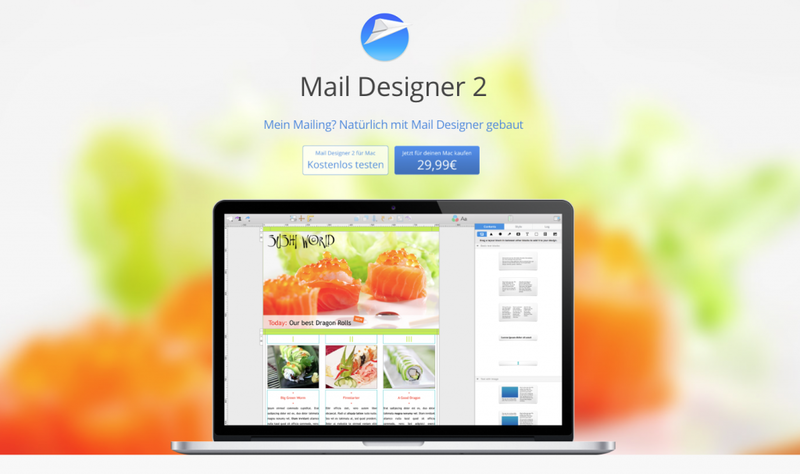 If you drag the object to your desktop, Mail Designer 2 automatically creates a png image. You can store the image so your can reuse it for next time. Note: It is important to reveal the group in order to edit the details of an individual object (group: alt-cmd-G / ungroup: alt-shift-cmd-G).